Hello fellow modders! I decided to tell you about a fanpatch project that me and couple of other members of FinnWars community have been starting to develope. The patches goal is to make FinnWars stand out from other mods and of course to make it more fun, realistic and immersive. FinnWars' weapons are already kinda balanced and as realistic as BF42's engine lets them to be. But still there was some fixing to do with field of view zooming and deviances. Also one of our developers fixed the angle of FinnWar's Panzerfaust. I decided to make a new kit for FinnWars. Now players can choose from 2 weapons when they want to play as an assault unit. The background image for assault kits is missing for Russians and Finns atm (Germans have one but its just a placeholder). I've also planned to recreate the whole spawn interface. Now soldiers take instant damage when swimming (or standing) in freezing water. The swimming is normal in summer maps. Like changing Soviet ticket colour from blue to red and Finnish ticket colour from red to white. Also we've added a "clock" around the tank icon to help spotting other tanks. If I can find a way to create new radio commands, I will local radio commands for tank spotting. Now the team names can be changed. In the current version of FinnWars, the team names are "Fin - Rus/Ger". I've changed to this patch so that the team names will alter with the map. As for an example, in a Lappland war-map the team team names are Finland and Germany, and in a Winter war map the team names are Finland and Russia. Battle of Bengtskär was a desperate fight between weakly armed Finnish coastal guard and overpowered elite Soviet soldiers in a tiny island. It resulted in Finnish victory. The only problem in creating this map the lighthouse model. There are so many stairs in the model that bf42 is crying for mercy.. I've learned how to use meme-files and I can make new menus but I don't know if I want to. It would be a nightmare to do with the menu editor which comes with Battlefield MDT..
Finns really need an alternative assault weapon. Now in Continuation war-maps Finns have two Suomi KP assault kits. Russians have PPSh-41 and a AVS-36. I'm currently developing an anti-personnel mine but I'm not sure if it's possible to develope.. I have to try. -Other things that I've not remembered to add in this list. I use my Finnish translation for the mod so that's why you don't understand the text's in the videos and screenshots. The mod itself will be in English!! Also if you have suggestions, like what we should add or alter in the mod just tell! Do you mind sharing the code you used to create the alternative assault weapon? Classical Modder wrote: Do you mind sharing the code you used to create the alternative assault weapon? I agree, that seems like a fine bit of code. I wouldn't mind learning from it. Adding an extra kit choice to the spawn-menu is more compilcated and I really can't show you how I did mine because of the messy meme-file editor software. Easiest way to do an extra kit choice to the spawn-menu is to copy one of the kit choice-nodes and change the kitname values to 5 and relocate it (By changing the cordinates of the transform-node). For some reason BF42 can't save the kiticon for kit 6 so I saved the kiticon to the ObjectTemplate.setKitActiveName of the assault kit. (FinnWars doesn't use ActiveKitName "variable") When we get this patch out, you can check how I did this by yourself. I'm really bad at explaining in English because my native language is Finnish. Does anyone know if Finnwars was ever updated so that you could play Single Player on it? It would be very helpful to have single player because the mod looks great, but there are few people who are going to play it online who you can find, especially who will play all the maps with you. It says that it has single player. But maybe that is a reference to online coops with some AIs and not really true single player? What makes me reluctant to install this single player "Extended Version" is that it is basically an earlier version (1.65) than what I already have now for Finnwars (1.82). Unfortunately, the forum doesn't seem to give new users now a way to let you register on their forum to post there. 3. I tried hosting Finnwars once on multiplayer online just to see if it worked, and unfortunately it crashed when I tried to load up a Finnwars map.  I am not sure what caused my game to crash when I tried to load a multiplayer Finnwars map online, but occasionally my game does crash when I play online. I do have Windows 7, which could explain it, but I installed the Windows 7 Compatibility Patch, and unfortunately that at best only reduced the frequency of crashes, if anything. Anyway, I am still interested in trying out multiplayer at least, in case someone wants to play me. Are you interested? There is no any update? The latest one is the FinnWars 1.82 Release, what i have promote 2011/12! What kind of that is the last year information? The same guy, had say in the summer, he is working on FinnWars 1918? After the summer we see this guy RUUGA here not anymore??? buschhans wrote: There is no any update? The latest one is the FinnWars 1.82 Release, what i have promote 2011/12! I'm primarily working on FinnWars 1918. It's development has slowed down because of my time in the army. Before starting FinnWars 1918 I made some new features and stuff to the original FinnWars but I never managed to get enough stuff done to publish it. I may some day create an unofficial update with a friend of mine if we manage to get things done. Are you still working on it? I have a good news for you. Please show us you are alive. SOme people like your stuff and wait hungry for more news.